When it comes to caring for your baby, transparency is everything. That's why we bring you Clearly Crafted, and proudly share stories about the people and places we trust to grow our organic ingredients. Best all of all, our new clear packaging lets you see each delicious recipe, in all its vibrant color. This is goodness you can see. CLEARLY CRAFTED: When it comes to caring for your baby, transparency is everything. That's why we bring you Clearly Crafted. Our clear packaging lets you see the organic ingredients in each recipe, in all its vibrant color. It's goodness you can see. 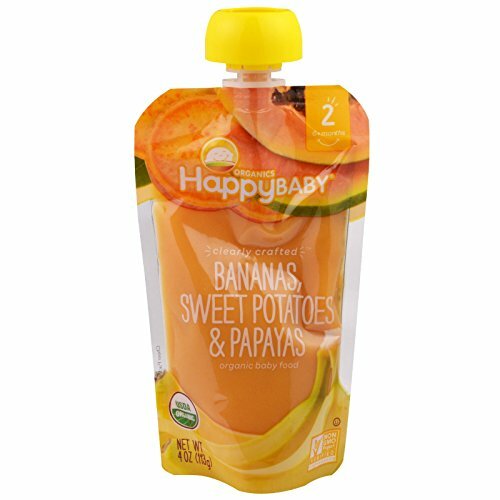 STAGE TWO EATERS: Great for the exploratory taste buds of Stage 2 eaters, our Stage 2 baby foods and baby snacks introduce baby to simple balances of organic fruits and veggies in a smooth puree with all the new flavors your baby is learning to love.